Coconut oil has been infused into the industry’s most sought-after products, including topical and edibles, but why is it so? The reason behind this aspect could be attributed to some vital factors. First and foremost, coconut oil happens to be among the highest concentration of saturated fats. The surplus of these fats in the coconut oil helps create a stronger binding agent for the cannabinoids. When compared to olive oil, which only comprises of a saturated fat content that is less than 20 percent; coconut oil contains more than 80 percent of fatty acids and hence has the ability to retain for more cannabinoids during extraction, rendering a lot more efficient products in the end. Coconut oil, hence, is a perfect medium for cannabis. What Benefits Does Coconut Oil Offer? Coconut oil comprises other sets of useful acids that have been known to have a list of amazing health advantages. Lauric acid is one great example – when digested, lauric acid is beneficial in creating a monoglyceride that works as an antimicrobial. These saturated acids are found in the coconut oil in abundance, which makes it the best contender for all those who are seeking a healthier oil base than canola oil or butter. One other amazing benefit of using coconut oil is when you make use of it to extract CBD; the end product stays solid even at room temperature. The versatility that the cannabis-infused products hold makes them remain solid even at room temperature while considering its use as a topical agent. Moreover, the solid form allows the oil to be easily stored through the gelatin capsules, a vital technique of storing cannabinoids. Gelatin capsules are simple and easier to make. 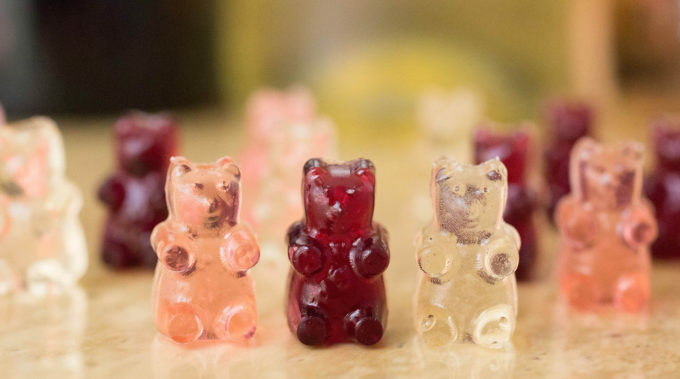 How Do You Make Coconut Oil Gummy Bears? Ease of use may be one of the most under-rated pros of coconut oil while making infused products. Other than the fact that you can easily opt for coconut oil inexpensively from anywhere, the process of infusing and decarboxylating CBD into the coconut oil requires just a few simple ingredients and can be easily done at home with minimal effort. It is imperative that you check for the recipe of how you could come up with the coconut oil gummy bears at home or you may consider the easy way out and buy them from a reputable manufacturer online.